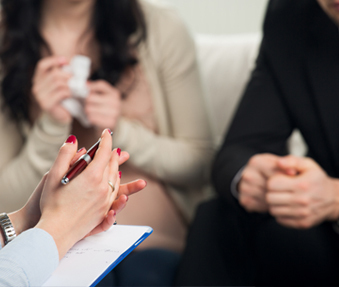 Integrative Behavioural Couples Therapy (IBCT) is an empirically researched couples therapy developed by Neil S. Jacobson and Andrew Christensen. It proposes that during the early stages of a relationship partners are more accepting and understanding of the differences between them. However, as the relationship progresses couple distress stems from unhelpful and negative ways with which they handle the differences they see in each other. Over time couples become less willing to accept and tolerate the differences they see in one another, which often results in conflict and distress in the relationship. IBCT involves a thorough assessment of the couple’s relationship. Some of the topics covered in the assessment include exploring the history of the relationship, issues that are contributing to the current distress, each partner’s point of view on the distressing issues, and examining their typical argument style. IBCT is focused on providing couples skills and strategies to make changes to accept and meet each others’ needs, have greater emotional acceptance of the other and make changes in the conflict areas. It integrates a variety of treatment strategies that are focused on identifying common themes that lead to conflict, problem solving, improving communication, and creating intimacy in the relationship.